Žižkov Television Tower is the Prague´s highest building in general. 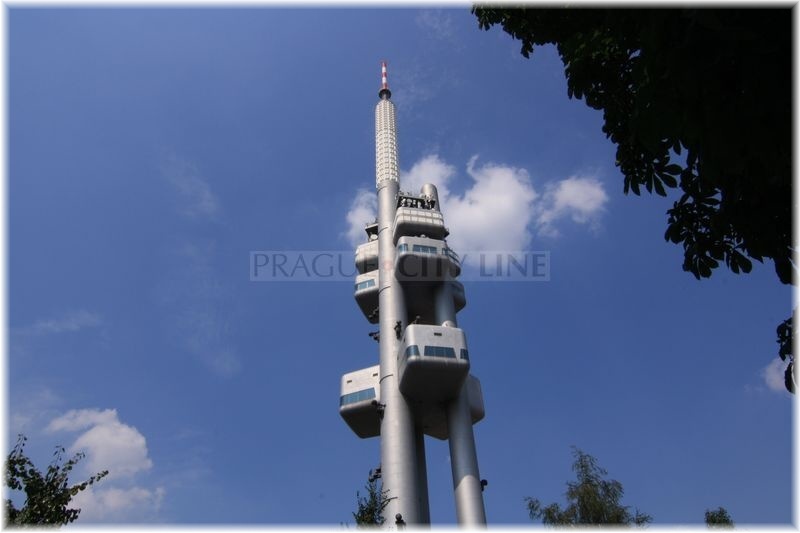 The televison tower creates unique panorama of Prague and has become essential part of the cosmopolis. 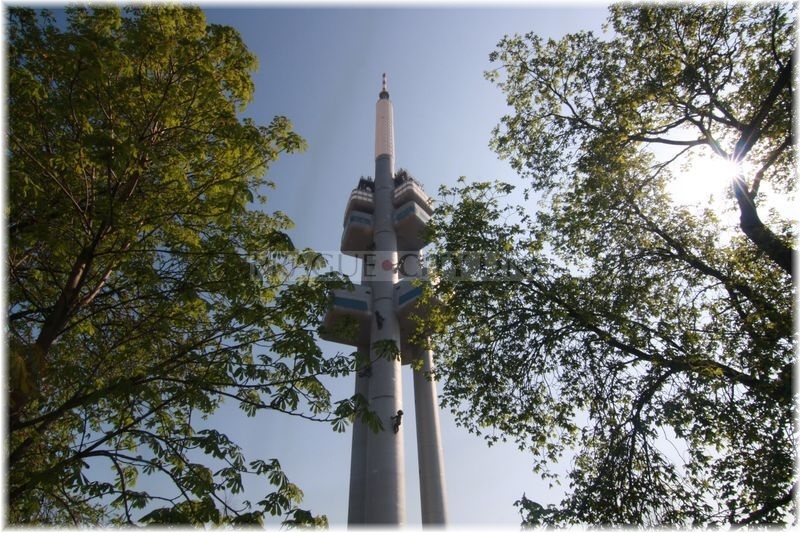 Žižkov television tower was built between 1985 – 1992. 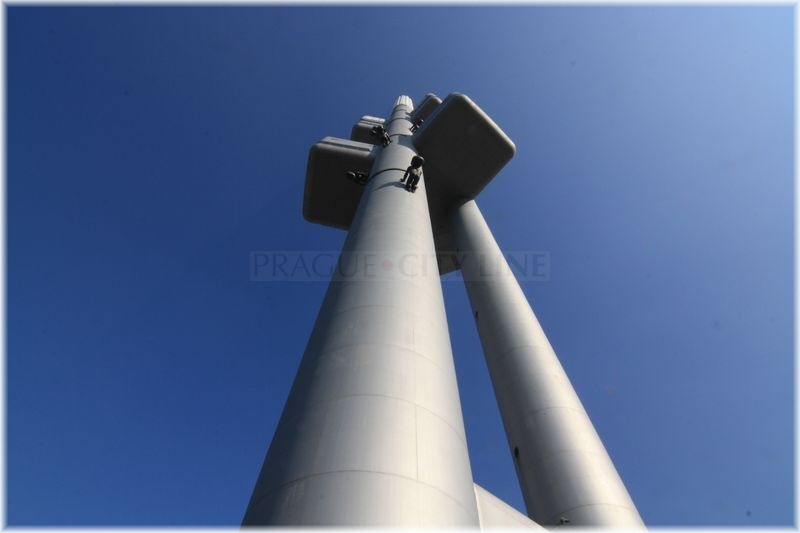 The construction of the tower reaching two hundred and sixteen meters high was performed by Inženýrské a průmyslové stavby Ostrava (Engineering and Industrial Structures Ostrava). The tower was built based on the project of architect Václav Aulický and structural designer Jiří Kozák. 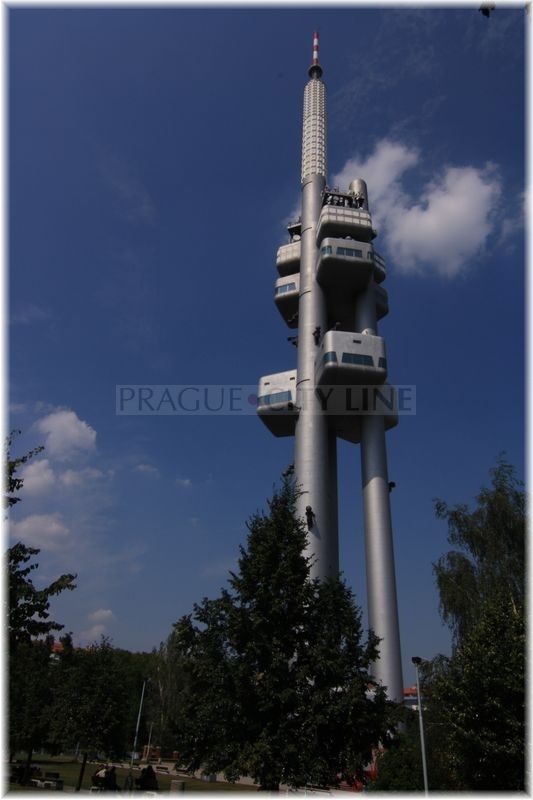 The tower is composed of three giant, cylindrical, steel tubes which are more than a hundred and thirty meters long. There are two superfast elevators placed in the main tube and the end the tube turnes into antenna extension from which eleven television and eight radio transmitters are digitally broadcasting. Six radio analog stations still broadcast from here, too. 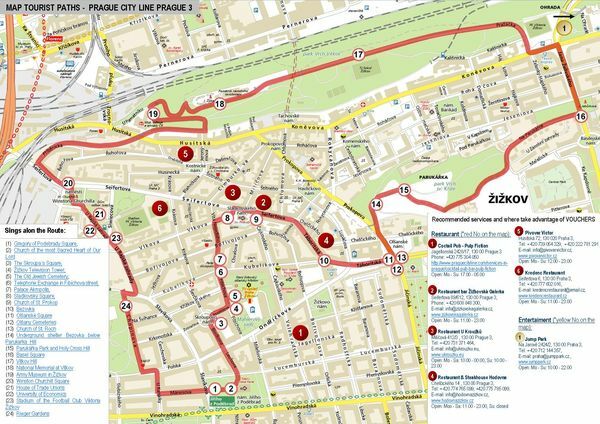 Besides, there are senders of mobile operators to be found here and also the quality of the air in Prague is monitored here. What can be found in the tower? Huge steel tubes carry three big bubble cabins on their shoulders. There is a restaurant in the level of sixty-six meters offering gorgeous view of the entire Prague. In the central part, i.e. 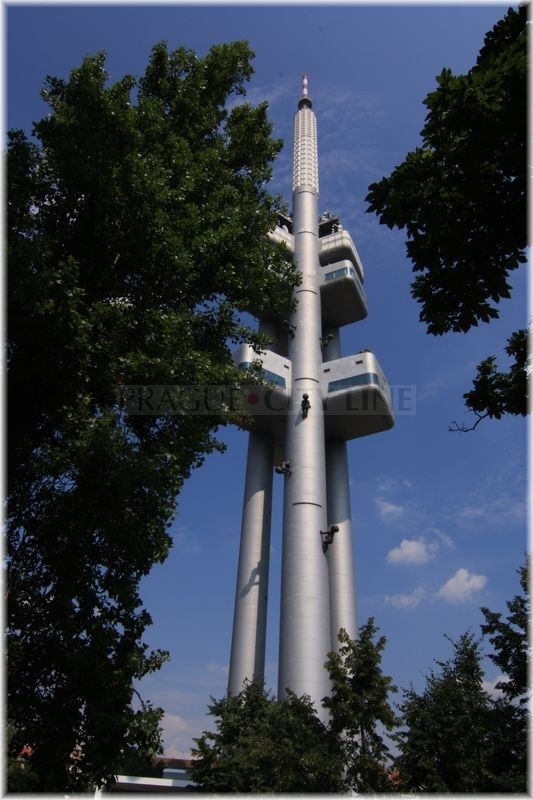 in the height of ninety-three meters, a sightseeing cabin is located where the visitors can enjoy the exceptional view of Prague. The last, and also the most highly located cabin, contains the broadcating technics. 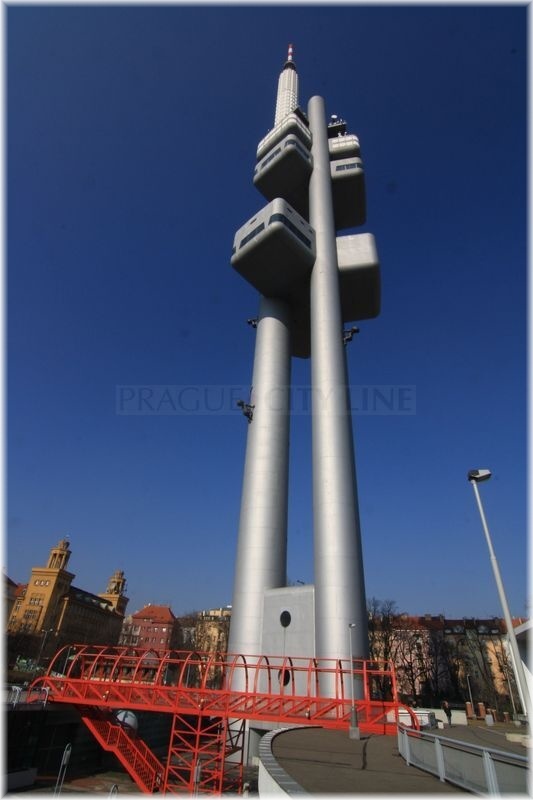 In 2000, the Žižkov Television Tower was enricheed by the work of David Černý, called „Miminka“ or Babies. They are actually giant toddlers climbing up and down the tower. These black babies reaching several meters high are a great attraction for the tourists, because they are a unique work of art, located in even more exceptional place. 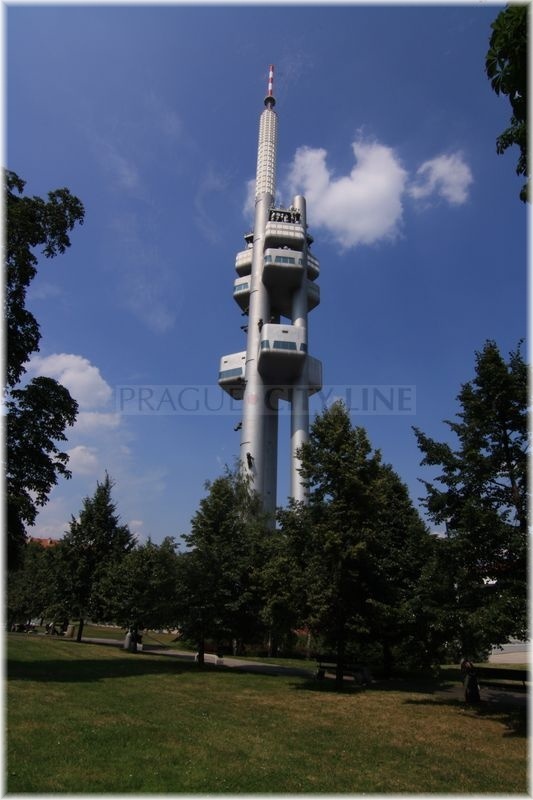 The television tower in Žižkov is not a quite typical construction therefore many curiosities are related to it. One of them is the total weight of the construction which reaches incredible twelve thousand tons. The foundations of the tower are formed by a four-meter ferroconcrete slab with diameter of thirty meters, which is placed fifteen meters deep below ground surface. Žižkov Television Tower (Žižkovská televizní věž) 50.081047, 14.451142 Žižkov Television Tower (Žižkovská televizní věž) Žižkov Television Tower is the Prague´s highest building in general. 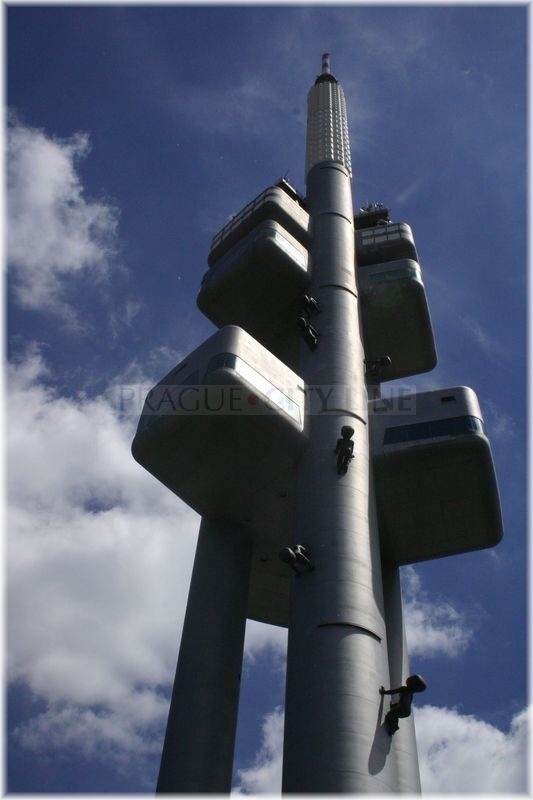 The televison tower creates unique panorama of Prague and has become essential part of the cosmopolis.